Motorists looking at buying a car with racing pedigree may want to consider a model from Seat. The manufacturer has pointed out its new Leon Cupra R offers the same output as the version of the auto that took the TDI World Touring Car Championship title. 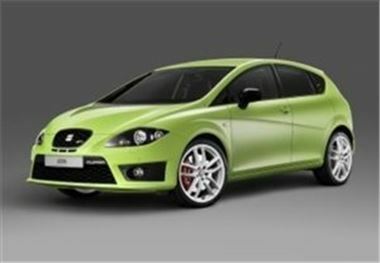 It is fitted with a 265 PS 2.0-litre TSI turbocharged petrol engine, which the company described as "brutally powerful". The group also claimed the unit offers "easy torque transmission" and "remarkable flexibility". With a top speed of 155 mph, the new Leon Cupra R can go from standing to 62 mph in 6.1 seconds. According to the manufacturer, this fact makes it even more surprising that the model is capable of nearly 35 mpg. The vehicle is due to be unveiled at the Frankfurt International Motor Show in September. In other motoring news, Seat has described its latest magazine and newspaper Altea adverts as "provocative".